It has become necessary that I alert Nigerians and the international community about certain dangerous developments concerning the forthcoming Ekiti governorship election. 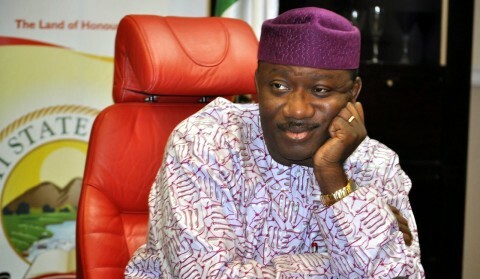 Recall that the President said categorically that Ekiti State must be taken by the APC at all cost. 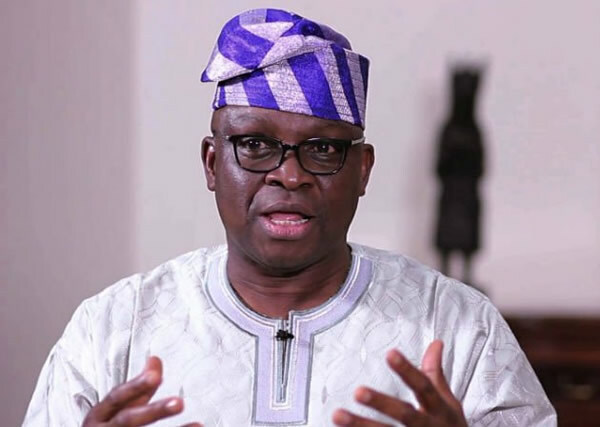 Instead of his empty boast that his party must capture the State by whatever means, the President should rather tell Ekiti people what he has done for them in the last three and half years. Today, we are beginning to receive signals to the effect that clandestine moves are being made to subvert the will of Ekiti people. With the failure of their “Ondo Option”, other evil means are now being devised. Despite that we have over 9,000 Youth Corps members in Ekiti State and it has been the general practice to engage the NYSC members in elections across the country, the APC in collusion with INEC has asked that students of the Federal University, Oye Ekiti (FUOYE) be recruited as INEC ad-hoc staff for the election, instead of youth corps members. It should be pointed out that the Vice Chancellor of FUOYE, Prof Kayode Soremekun, is a card carrying member of the APC and a close ally of the party’s candidate, Dr. Kayode Fayemi. He had been used to rig elections in the past. We are in possession of an Internal Memorandum from the office of the Dean of Students Affairs, FUOYE seeking registration of students of the University as INEC Presiding and Returning Officers for the Election. The idea behind this plot is to recruit APC members from neighbouring States, arm them with FUOYE students Identity Cards and use them as INEC Presiding and Returning Officers to perfect the planned rigging of the election. This will fail. As I speak, over 2,000 supposed FUOYE students have been registered; with a curious condition that they should provide Bank Account details of their close relations, apparently to avoid tracing any payment into their own accounts. The question is; with over 9,000 Youth Corps members in Ekiti State, what is the need for FUOYE students in an election that is holding in less than 2,200 polling units? Our counsel is that parents, guardians and families of FUOYE students should prevail on their wards to shun this Greek gift and avoid being used by desperate politicians. INEC, too, must come clean on this. The electoral umpire must tell the public the rationale behind the plot to jettison Youth Corps members for supposed FUOYE students. On President Buhari’s reported comment that the Ekiti 2014 governorship election was characterized by “hanky panky”, I am not surprised at all because he is no longer in touch with realities. The president is not even in charge of his own government. Therefore, I am not surprised that such a statement came from the president. That was the same President who said Nigerian youths are lazy and that Nigerians living abroad are criminals. He can also afford to indict his own country by saying that agencies of the federal government were involved in electoral fraud, even when the United States Government commended them for doing a good job. The president runs to the United States of America at all times and believe in the US government even more than himself. This same US government said clearly that the election was free, fair and transparent. However, let me tell the President and his men that they will be disgraced here in Ekiti because the power of the people is greater than the power of those in power. We hereby call on all men of good conscience to stand up and be counted in the fight against dictatorship, election rigging and the plot to subvert democracy in Nigeria. 2019 general elections is close by and Ekiti as well as Osun elections are prelude to what to expect in 2019. The international community must prevail on INEC and the Buhari administration to allow free, fair and credible election in Ekiti State.